Static GK is one of the important section in both Government Sector and Bank related Exams. 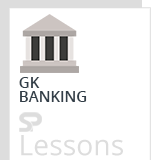 In the static GK, Banking is one of the important topic. The article Payment Banks – India presents the key points of Payment Banks and the importance of Payments Banks. The article Payment Banks – India can help the students and aspirants to perform well in the exams like IBPS PO, SO, Clerk, SBI, RRB, etc. Reserve Bank of India released the Guidelines for Licensing of Payment Banks. Existing non-bank Prepaid Payment Instrument (PPI) issuers. Non-Banking Finance Companies (NBFCs), corporate Business Correspondents(BCs), mobile telephone companies, super-market chains, companies, real sector cooperatives; that are owned and controlled by residents;and public-sector entities may apply to set up payments banks. Promoter/promoter groups should be ‘fit and proper’ with a sound track record of professional experience or of running their businesses for at least a period of five years in order to be eligible to promote payments banks. Apart from amounts maintained as CRR with the Reserve Bank on its outside demand and time liabilities, it will be required to invest minimum 75 percent of its “demand deposit balances” in Statutory Liquidity Ratio(SLR) eligible Government securities/treasury bills with maturity up to one year. To Hold maximum 25% in current and time/fixed deposits with other scheduled commercial banks for operational purposes and liquidity management. The promoter’s minimum initial contribution to the paid-up equity capital of such payments bank shall at least be 40% for the first five years from the commencement of its business. The foreign shareholding in payments banks would be as per the Foreign Direct Investment (FDI) policy for private sector banks as amended from time to time. The bank should have a high-powered Customer Grievances Cell to handle customer complaints. RBI decided to grant In-principle approval to the following 11 applicants to set up payments banks. Note: India’s first Payments Bank is Airtel Payments Bank that started its services in Rajasthan.